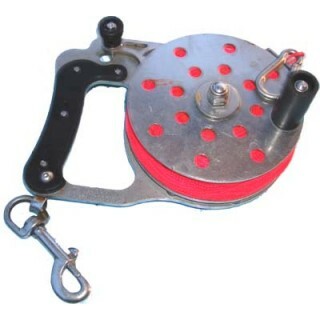 This heavy duty ratchet reel is built to last. It is made from marine grade 316 stainless steel and works as a conventional ratchet but the mechanism also allows for free running. It comes with a Velcro strap which is used for attaching your SMB to the main body of the reel. Various coloured lines available.